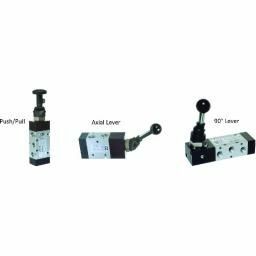 5/2 Push Pull G1/8" - G1/4"
5/2 Detented Push/Pull - Insta ll in any Pos. MA Spool Valve. 5/2 Push/Pull SR - Install in any Pos. MA Spool Valve. 5/2 Detent Push/Pull-Install in any Pos.MA Spool Valve.